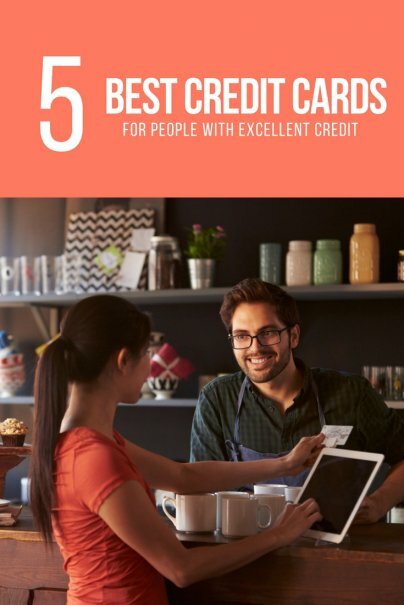 Each of the cards on this list are only offered to those with excellent credit, but they offer very high rates of cash back or points. Each has its unique advantages that appeal to different types of cardholders. If you have the excellent credit to qualify for the Chase Sapphire Preferred® Card, then you'll have some great rewards to look forward to as a cardmember. Earn 2X points on travel and dining at restaurants & 1 point per dollar spent on all other purchases worldwide. Get a 1:1 rate when transferring points to partner programs, or redeem travel directly through the Chase Ultimate Rewards portal and get 25% off. There are no foreign transaction fees on the card. This card has an annual fee of $95. 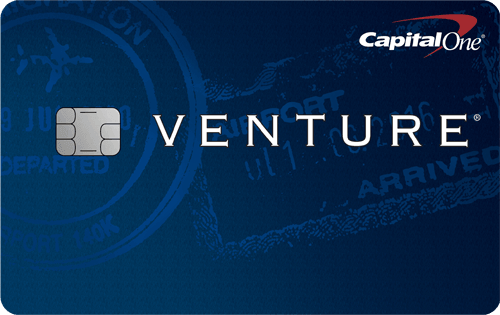 The Capital One® Venture® Rewards Credit Card is for applicants with an excellent or good credit rating. Unlike other cards that only award bonuses to specific categories, card holders can earn unlimited 2X miles per dollar on every purchase, every day and unlimited 10x miles on hotels through January 2020, when you pay with your Venture card at hotels.com/Venture. 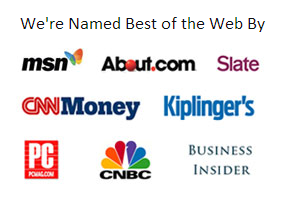 Like all of their cards, there are no foreign transaction fees. There is a $95 annual fee for this card that is waived the first year. Bonus: One-time bonus of 50,000 miles once you spend $3,000 on purchases within 3 months from account opening — equal to $500 in travel. 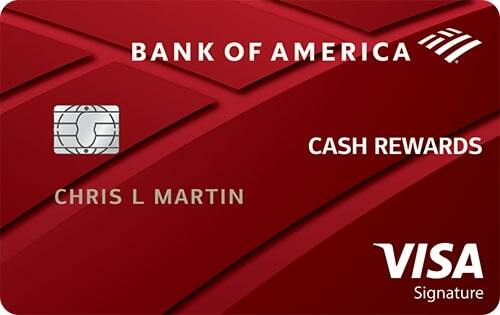 The Bank of America® Cash Rewards credit card lets people with excellent credit earn some nice cash back rewards. Cardholders can earn 1% cash back on every purchase, 2% at grocery stores and wholesale clubs, and 3% cash back in your choice category of gas, online shopping, dining, travel, drug stores, or home improvement /furnishings (for the first $2,500 in combined grocery/wholesale club/choice category purchases each quarter, then 1%). There is no annual fee. Bonus offer: Earn $200 online cash rewards bonus after spending at least $1000 in purchases in the first 90 days of account opening. 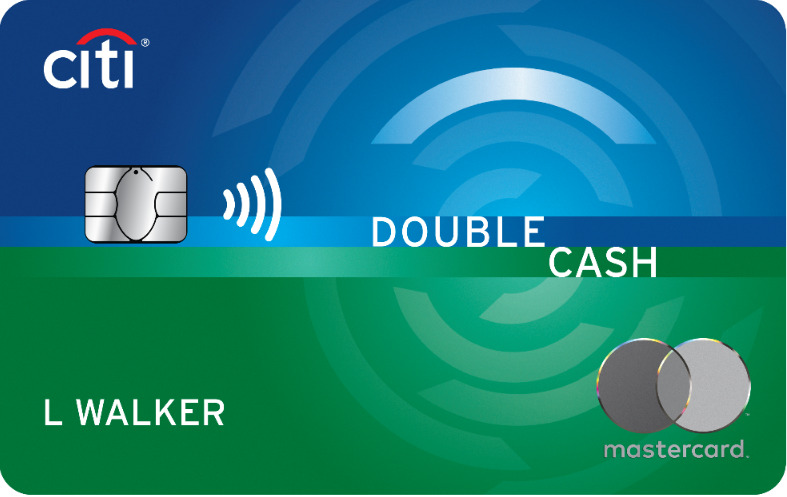 The Citi® Double Cash Card - 18 month BT offer from our partner Citi rewards you twice. Once when you make the purchase. Then again when you pay for those purchases. You earn 2% cash back on purchases: 1% when you buy plus 1% as you pay your bill. There are no category restrictions and no caps. It's a simple and straightforward cash back credit card for those who don't want to engage in signing up for rotating categories or carrying different cards for different purchases. This card has no annual fee. Do you want to know how it feels like to be a VIP and travel in luxury? 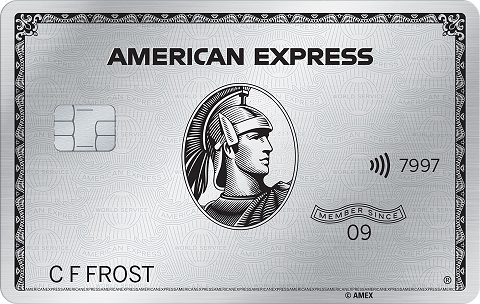 Get the Platinum Card from American Express. You’ll enjoy complimentary access to over 1,200 airport lounges in the world, Gold Status in the Hilton Honors program and Gold Elite Status in the Marriot Bonvoy program, premium roadside assistance, and Platinum Concierge, available day or night to take care of your requests, large and small. In addition, get a statement credit for your Global Entry or TSA PreCheck fee, up to $200 airline fee credit in baggage fees and more at one qualifying airline, up to $200 for Uber rides annually, and unlimited Wifi at more than a million hotspots worldwide with Boingo American Express Preferred Plan. Plus, you can enroll to get up to $100 in statement credits annually for purchases at Saks Fifth Avenue. Earn 5X points on flights booked directly with airlines or Amex Travel, 5X points on prepaid hotels booked on amextravel.com, and 1x on other eligible purchases. Use points to book travel, transfer to travel programs, and more. Terms apply. The annual fee is $550. See rates and fees. Welcome offer: Earn 60,000 points after spending $5,000 in purchases within the first 3 months. Click here to learn more and apply for the Platinum Card® from American Express today! As a smart consumer with excellent credit, you should always be receiving the highest return on not just your savings, but on your spending as well. The "extra" 1% or so is quickly offset by the annual fees. It's not worth it! I spend about $1200 a month on a 1% card. The $140 or so worth of points I earn a year is $40 more than my annual fee, and I also get 6000 points with my annual fee. Tack that on to the 50,000 points I received for sign up, and I get a great deal. Of course, carrying no balance is key! I just got the Sapphinire card a month ago - I'm making good progress towards the $3,000 expenditure to get 50,0000 bonus points. I will cancel the card when the $95 fee is charged next year. I love that you can exchange the points for many differnet programs - I just do not love it enough to pay them $95 to do that. I've had my Sapphire Preferred card for several years now. I am not thrilled about the annual fee, but I travel extensively throughout SE Asia, and not having an International Transaction Fee is a real money-saver. The Chase Customer Service team deserves praise, also. Each time I have had to contact them the representative resolved problems quickly and courteously. Canceling the card will hurt your credit, David. This weighs heavily on your credit score. I would keep the card open and make sure you are spending enough money per year to make the rewards worth the annual fee. I'm surprised you didn't mention the Sallie Mae 2% rewards visa. It's similar to the Fidelity Amex, but being a Visa, it is accepted at more places. Thanks for the suggestion. I don't have any investment accounts with Sallie Mae, but they do handle my student loans. Do they have any special programs credit cards related to student loans? Sallie Mae is a good card, but it has some flaws. Cash back is only at a rate of 1.3% if you redeem less than 25,000 points at once. So you only get your 2% cash back after spending at least $12,500. I think most people will earn less by redeeming fewer points at once. It's also a points based card, so the points could be devalued overnight at their discretion. Finally it also has a 3% foreign transaction fee. 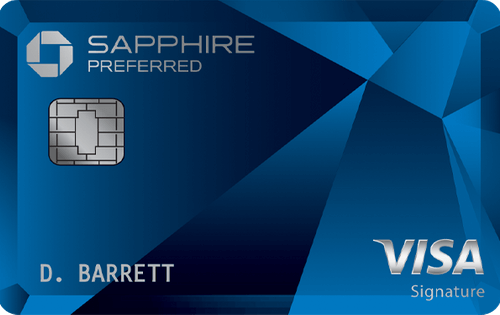 I just signed up for the Sapphire Card, thanks for letting me known about the no foreign transaction fees. I am in the midst of planning my summer trip and this is one more thing to check off of my list! I've been offered a few cards that will give me 1% back on everything plus a one-time bonus of $100 or $50 if I charge $500 in the first three months. I was going to give it a try, but this was after christmas and I had no plans to charge much. We use a cash envelope system and are on a pretty tight budget. Anybody get these to work out in their favor? Check out the Amex Blue Cash Everyday card. It's not mentioned here, but there is no annual fee and you get 3% back on groceries (up to $6000 in purchases per year) plus unlimited 2% on gas and department stores plus 1% on everything else. Just be sure to pay it off every month because the interest rates are punishing and negate any rewards. Nice list Jason. I roll with the Venture card and apart from the statement credits, the one cent per mile gift card options are really good compared to Ultimate Rewards, especially when used for Itunes giftcards, which cost 2,500 miles for $25 with Capital One but 3,000 points for $25 with Ultimate Rewards. I've got an Amazon Visa that I really like. 3% back on Amazon purchases. 2% on food and gas (which includes purchases at Super Target, which I guess is classified as a grocery store), 1% on everything else. No annual fee. The rewards are only good on Amazon, but I shop there for tons of stuff, especially for gifts, anyway, so that's not a hindrance for me. It does have the standard 3% international transaction fee, but I travel internationally very rarely. I have the same card and love it. You don't have to spend the rewards at amazon, cash back is an option too. For Amazon, we use a Discover It card. For the last 6 months of 2015 you will get 5% for Amazon. No annual fee. Is there a good mastercard option? I already have a Visa Platinum Plus Rewards card from BofA that I got in 2006 that I LOVE. That's the kind of card I want...0% APR too. I only have the one Visa card, a FICO score in the upper 700s, and I do pay my balance of in full every month. The Chase Sapphire card is what I use personally. Sometimes they are harder to get, but they have excellent limits and terms for consumers wanting credit cards. I'd take a look into them given your in the market for a new card. I had a Capital One credit card for many years with a 1% cash back reward. When I closed that account out, I received a check for $320. I got to thinking that there must be a card with better rewards, so I went looking online and found my current card, a Capital One Cash Rewards card with 1%back on everythng, $100 bonus after spending $500 and a 50% cash rewards bonus at payout ( not including the $100 bonus). So if I have a total in rewards of $200, I would actually receive a check for $250. There are no categories to choose from and no annual fee. The only real requirement is you must have excellent credit. Some months I use my card a lot and some months I don't, but I know it will pay off at pay out time. I know there are cards that pay 2% on groceries and 3% on gas or whatever, but being a widow, I don't spend a lot of money on either one of those categories, so my Capital One Cash Rewards card is the best one for me. Remember that when you cancel a credit card, your FICO score takes a tremendous drop......something to keep in mind.......low scores yield higher rates on loans and many other transactions. Chase Sapphire Preferred no longer offers their 7% annual points dividend. I had enjoyed this card for a long time, but they sent notice to card holders last summer that January 2015 would be the last points dividend. I canceled it shortly afterwards. You don't mention the Barclaycard Arrival+ World Elite with 2 points for every dollar spent plus a 10% redemption dividend. It effectively equates to a 2.2% return on all money spent if you redeem the points for travel.